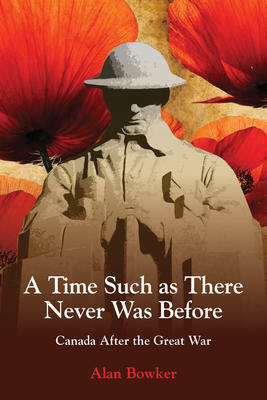 Local author Alan Bowker will be in the store on Saturday, November 7 to sign copies of his book A Time Such As There Never Was Before from noon to 1:00pm. The war had been a great crusade, promising a world made new. But it had cost Canada sixty thousand dead and many more wounded, and it had widened the many fault lines in a young, diverse country. In a nation struggling to define itself and its place in the world, labour, farmers, businessmen, churches, social reformers, and minorities had extravagant hopes, irrational fears, and contradictory demands.